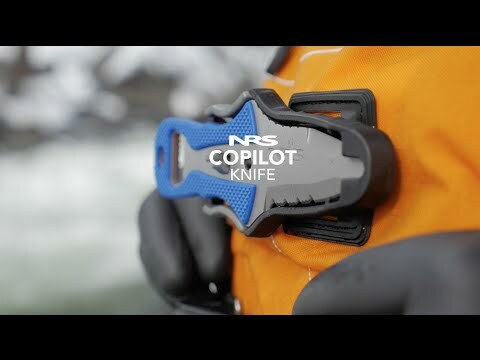 The smaller sibling of the Pilot Knife, this compact paddling/rescue knife is designed to fit on smaller PFDs without adding bulk. Blade has both serrated and smooth sections. Blunt safety tip doubles as a screwdriver. Unique sheath securely locks the knife in place until you squeeze both sides of the release to unlock it. Sheath clips securely to the PFD lash tab. Integrated bottle opener and dive tank wrench in handle.